Apologetics is the reasoned defense of the Christian religion. Christianity is a faith which hinges upon reasons for that faith. Faith is not reason. Reason is not faith. But Faith cannot be dislocated from reason or faith ceases to exists. It is the mind’s understanding, and assent to that understanding, that lays the groundwork for the Spirit of God to regenerate the soul and implant faith. As God is rational in His dealing with men, so He made men rational thinking men. That does not mean Christians are to be rationalists, but rather, rational. Apologetics is the Rational Biblical Defense of Jesus Christ and His Word against Satanic philosophies (the cults (like Mormonism and Jehovah’s Witnesses), atheism, agnosticism, Stoicism, Socinianism, Roman Catholicism, false world religions like Islam and Hinduism, etc…) which contest His veracity and His revealed will contained in the Bible. It is not surprising that the Puritans excelled in the rational biblical defense of Christ and His Word, being entrenched in Ramean logic (which is often unappealing to the mass of contemporary readers who cannot think because they have never been taught to think.) Ramean logic affords the writer the ability to parse every point considered in great matriculation and with preciseness. In doing so, not only is the truth given to the saints for their edification, but objections are answered to the satisfaction of the bible. These, though, are not answers which are simply textural quotes, but rather expositions of the text exegeted in such a way as to render the hearer stunned with amazement feeling as though every point has been covered, or almost exhausted. It is having (if such a thing were to exist in its fullness) a mastery of the biblical text at hand. Hand in hand with the biblical prowess one ought to posses as an able exegete of the Word of God, is the hand-maiden of apologetics–this is rational philosophy. Philosophy is the Hagar to the Sarah. So long as Hagar does not exalt herself over Sarah, she is useful as a hand-maiden. Rational Biblical Apologetics will wed both the truth of the Word of God with the truth of the natural laws of rational philosophy in order to refute, attest to, and convince the gainsayer of his error. 2) The denial of the Biblical Gospel message of Christ’s vicarious substitutionary atonement on behalf of his elect people which is limited in scope but not its power. 3) The denial of the sinner as morally corrupt, dead in sin, without any ability to will spiritual good, or turn to Christ to repent. 4) The denial of God’s absolute sovereignty in all areas of the created order. 5) A deranged or warped view (or no view) of God in general. It is the duty of every Christian to be an apologist. Some Christians immediately balk at this, not even aware of the meaning of the word. Simply, an apologist is not someone who “apologizes” for his faith, but rather, is someone who defends the faith once for all entrusted to the saints (Jude 1:3). It is commanded by God that all Christians follow 1 Peter 3:15, “But sanctify the Lord God in your hearts, and always be ready to give a defense to everyone who asks you a reason for the hope that is in you, with meekness and fear…” A ready defense is required of the Christian. That does not mean he must be a “professional theologian” in order to have an answer for the gainsayer. However, the Christian should at least be well prepared, or ready to give a defense. Every Christian is a theologian to some degree. It just depends on whether you think rightly about what you believe, and thus, successfully. The predisposition to fall into a kind of post-Gnostic theology is the plight of much of evangelicalism today. To lean on a kind of faith-centered feeling and experience is far easier for the contemporary Christian to appeal to than it is for him to prepare a reasonable defense of the faith he claims to hold. It is easier for him to say with the blind man, “All I know is, once I was blind, but now I see” relying on what he feels and experiences rather than what he is able to explain. Yet he will still, in a primal kind of way, appeal to the absurdity of one questioning his experience with the “Who are you to question my experience…” defense. Though in reality this is simply a kind of “red herring”, even the evangelical Gnostic will appeal to some kind of defense if it is needed. But Christ calls true Christians to more than this. He calls us to a readied defense of the faith which has been entrusted to us. This means we need to not only have a readied defense, but we need to know what we are defending to a comfortable extent. Paul the Apostle reasoned daily in the school of Tyrannus (Acts 19:8-10). He reasoned with them. He did not make a simple appeal with the Gospel, and then ask them to give their lives over to Christ. He appealed to their rational intellect time and time again (See the Sermon on Mars Hill and the debate with the Greeks in Acts 14 and 17). Paul knew his Old Testament well, but he also engaged them in the consideration of natural theology. The debates he engaged in, to convince the gainsayer, would have been quickly over if he did not know his Bible well or was unable to appeal to the intellect. There are two elements to being ready to give a defense of the faith. The first is a thorough knowledge of the faith we profess. This seems almost silly to purport. 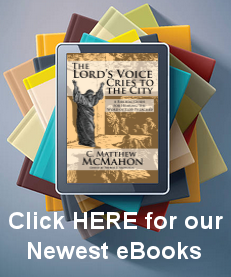 The fact is, many Christians who have been professing Christians for long periods of time (years and years) would not know where to find the historical narrative of Isaiah’s exposure to God and the angel’s chant of “holy, holy, holy.” Or even the prophecies concerning Christ’s death in the Psalms, where the “faith” chapter is located in the New Testament, or even where to find the parable of the prodigal son. These are pivotal texts that are often neglected. Secondly, the ready apologist should have some idea of the corrupted philosophies and ideologies which desire to exalt themselves over the Scriptures. This is not necessarily needful, but quite helpful. Why do I say this is not necessarily needful? It is hypothetically possible that a Christian could be so well versed with the truth of the Bible, that when error springs up before him he will be able to refute it thoroughly by the word of God. But this is the exception rather than the rule. And within the context of today’s aversion to the rational, it is even more needful that Christians have a well-rounded defense of the faith for the glory of Christ. So, in this section of the site, its aim is to give you, the reader and student of the Bible, tools to use in areas concerning logic, and apologetics. It is by no means exhaustive. But, prayerfully, may it be a help. 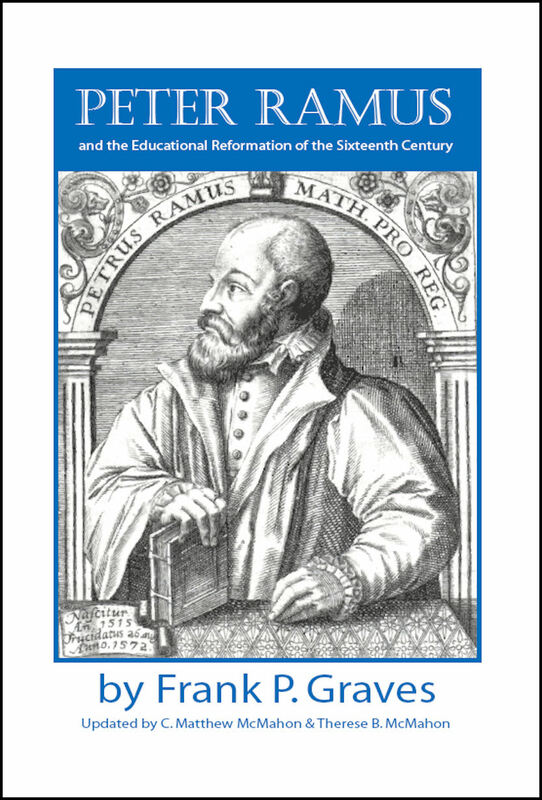 If you are interested in Ramist Logic, which is the logical thought of the puritans, check this awesome book out: Peter Ramus and the Educational Reformation of the 16th Century by Frank Graves. People have asked, “What is Ramean Logic?” The Puritans were “Ramists” in their logical approach. This turn of the century work highlights the educational reformer Peter Ramus and his contributions in logic to the Reformation and Puritanism.